Christmas discounts on The Map Kiwi Store! What a year it's been, and it seems that Christmas is already upon us. To celebrate the holiday season, a number of products on The Map Kiwi Store are being discounted for the next 6 days (December 11th - 16th)! Remember to order soon if you want it to arrive before Christmas! Looking for that perfect Christmas gift? 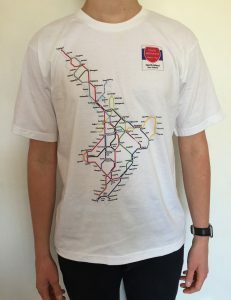 Look no further than these great prices on State Highway Metro Map posters and t-shirts! A smaller A2 poster print is also now available as an option. 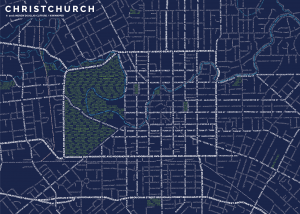 For a beautiful map design, why not get the Christchurch Typography map? It looks great on any wall. Christchurch's layout represented beautifully using typography. 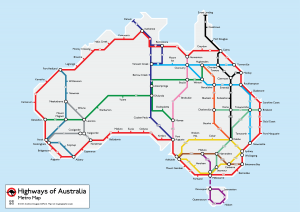 A map represents Australia's main highways and roads in the style of the London Underground map. 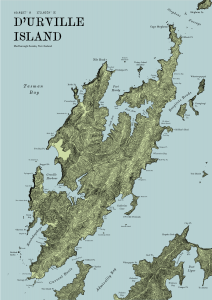 Terrain Map of D'Urville Island, in New Zealand's Marlborough Sounds. 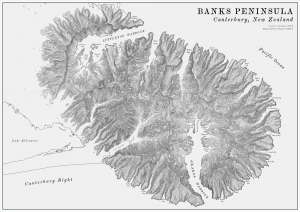 A vintage style terrain map of Banks Peninsula in Canterbury, New Zealand. 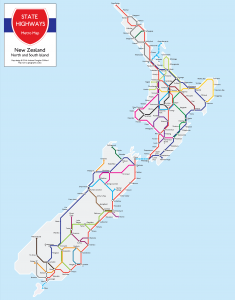 Separate New Zealand State Highway poster prints are now available for special order. Since these are printed on demand, they'll take a little longer to be processed. These individual maps also feature State Highway shield labels, making it easier to identify routes. Once again, I'd like to thank everyone that has shown their support for The Map Kiwi this year, and I look forward to creating many more maps in 2017! Be sure to follow us on Facebook or Twitter to keep up with the latest.